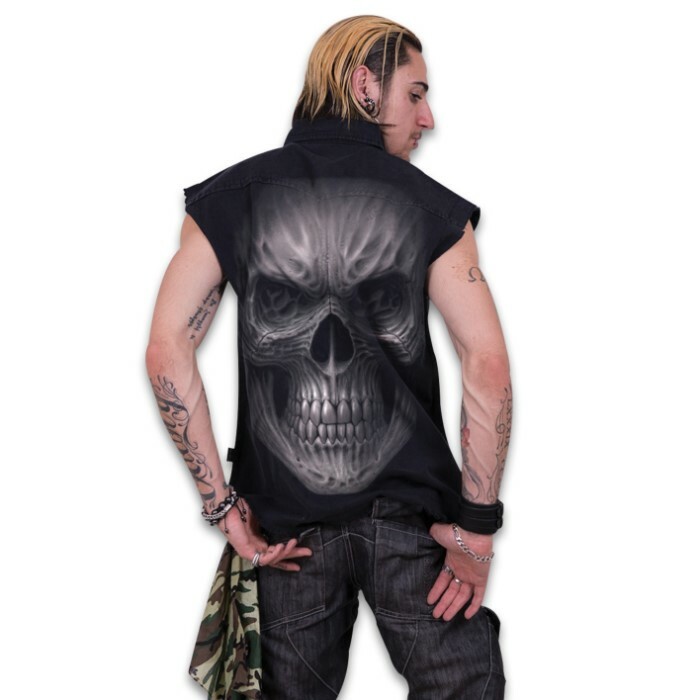 Death Rage Sleeveless Black Stone Washed Worker Shirt - 100 Percent Cotton Denim, Original Artwork, Azo-Free Reactive Dyes | BUDK.com - Knives & Swords At The Lowest Prices! 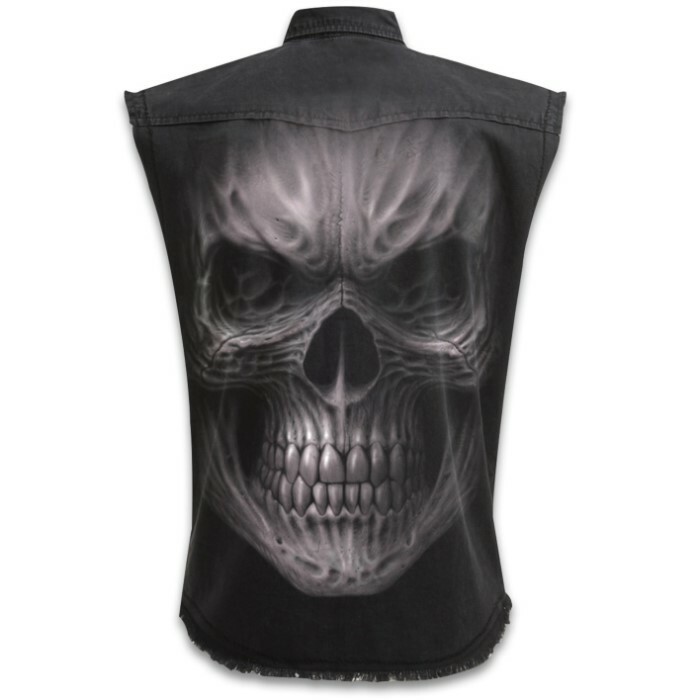 The grim mask of Death rendered in intricate monochrome detail on the back and a touch of tribal added to a grey skull on the front - simple, striking and timeless. 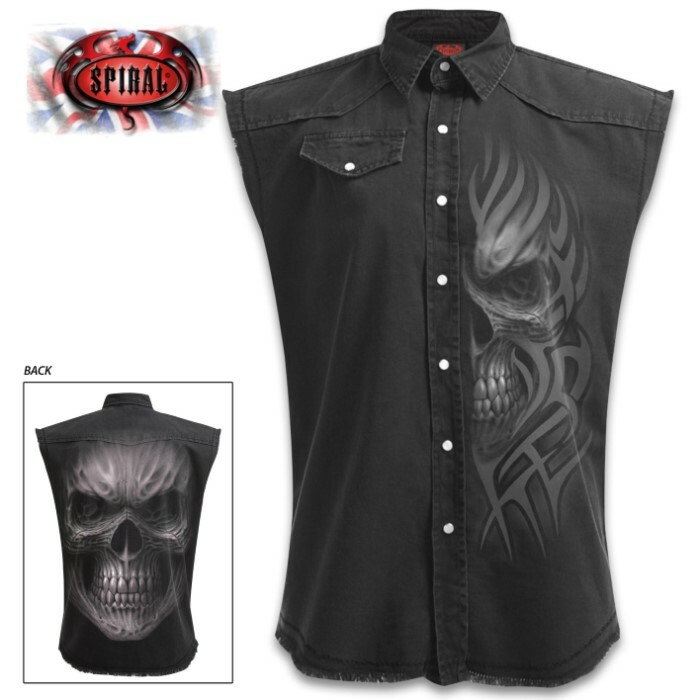 The sleeveless, worker-style shirt is made of 100 percent cotton denim material and it has a real hard-core look and feel. The detailed, original artwork is printed on the back and front of the shirt, using skin-friendly, Azo-free reactive dyes. Add this visually arresting, sleeveless shirt to your closet and you’ll find yourself wearing it all the time!